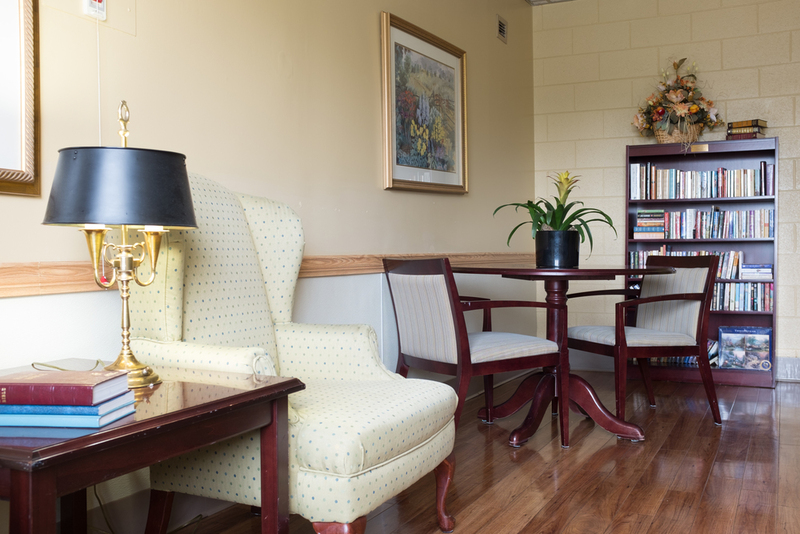 White Oak of Newberry is a 146 bed skilled nursing center conveniently located next to Newberry Memorial Hospital. We provide long term nursing care, as well as short term rehabilitation. Nursing care is provided by Registered Nurses, Licensed Practical Nurses, and Certified Nursing Assistants 24-hours a day. Our interdisciplinary team develops an appropriate plan of care for each individual in coordination with the physician’s orders. The service of White Oak of Newberry is more than caring for immediate physical or medical needs. Through understanding, compassion, professionalism and respect, we strive to enhance the quality of life for each individual. Melissa earned her Bachelor's Degree at Clemson University. Upon graduation, she began her career as a Recreational Therapist at White Oak of Spartanburg in 2002. Approximately 2 years later, she became a Licensed Nursing Home Administrator and worked as the Administrator at White Oak of York. In 2006, Melissa returned "home" as the Administrator of White Oak of Newberry. She currently serves on the SCHCA Board of Directors as the Chair-Elect. She is also an active member of the SCHCA DHECAdvisory and Education Committees. Melissa is passionate about providing quality rehabilitative and nursing services at White Oak of Newberry and values her career as one of her greatest blessings. Steve W’s is a gem in Newberry’s culinary scene, offering wonderful dinners to locals and visitors alike. Located right next to the Newberry Opera House, it is a wonderful spot for a night out on the town. Don’t let the name fool you, the Newberry Opera House brings in countless entertainment to the heart of Newberry through concerts of all genres, symphonies, and plays as well. What can be better than a cozy atmosphere that offers coffee, beer and wine? Not much! Whether you like to relax with a mug of steaming coffee, a nice wine flight, or microbrews, Half Full is the ideal location for catching up with family and friends or getting back into that book you haven’t finished yet. Spanning 8 acres, Enoree River Winery is a great activity to get out, enjoy the beauty of the area and see the working vineyards right here in Newberry. Wine Drinker? Enoree offers a flavorful tasting menu sure to please all palates. Thank you for contacting White Oak of Newberry. Someone will get back to you as soon as possible.